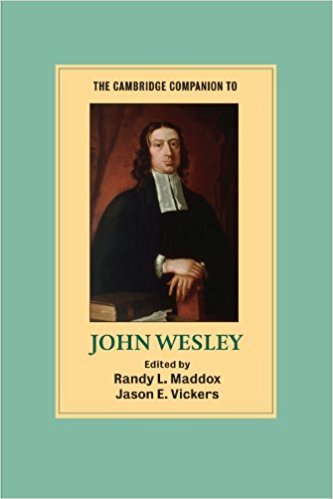 The Cambridge Companion to John Wesley is an edited collection of essays that gives readers a solid, wide-ranging survey of John Wesley’s life, work, and theological legacy. It also puts Wesley and the rise of Methodism in some historical context by introducing readers to different perspectives on relevant topics like the state of the Church of England in the 18th century, the nature of the British Enlightenment, and examining early Methodism as a movement within the Anglican Church. For those who are curious about the Wesleyan tradition but don’t have much background knowledge, this volume seems like a useful starting point. 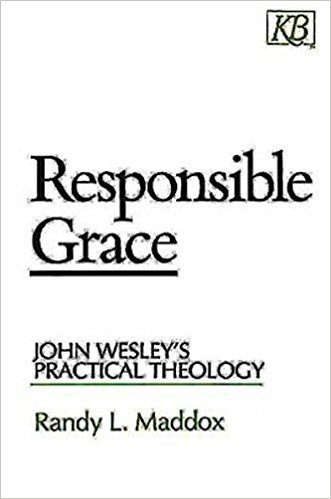 In Responsible Grace: John Wesley’s Practical Theology, Randy Maddox looks more specifically at Wesley’s theological emphases. In Maddox’s eyes, one of the more valuable aspects of Wesley’s theology is that it “presents a creative integration of the juridical and therapeutic emphases that have historically tended to diverge in Eastern and Western Christianity” (p.256). I first read this book a few years ago, and working through it again has been a rejuvenating experience. 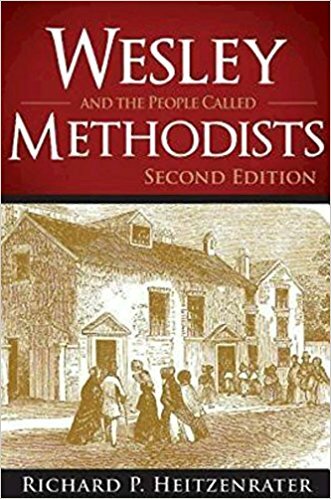 While Responsible Grace focuses mostly on Wesley’s theology, Heitzenrater’s Wesley and the People Called Methodists is primarily a history of Wesley’s life and the beginnings of Methodism. Heitzenrater notes that while John Wesley obviously played a leading role, the movement also grew due to the daily efforts of other people too. Hence, this book seeks to give a history of the movement’s origins as well as to tell the story of its main founder. Heitzenrater is an influential Wesleyan scholar, and this book appears to be a thoughtful, balanced examination of the roots of the Wesleyan revival. Over the past few years, I’ve been influenced by a number of Anglican theologians, including N.T. Wright and Rowan Williams. This has caused my interest in the realm of Anglican history and theology to grow. I first encountered Diarmaid MacCulloch’s work in 2015 when I picked up a used copy of his sweeping volume, The Reformation: A History. 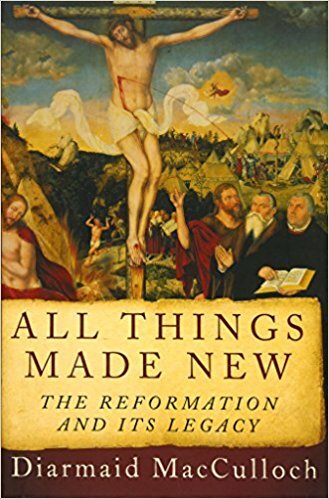 His new book, All Things Made New: The Reformation and its Legacy is a collection of previously published essays that delve into the Reformation and its aftershocks, focusing especially on the English Reformation. I think these essays will likely help me both become better acquainted with this period of Church history and learn more about how historical writing should be done. 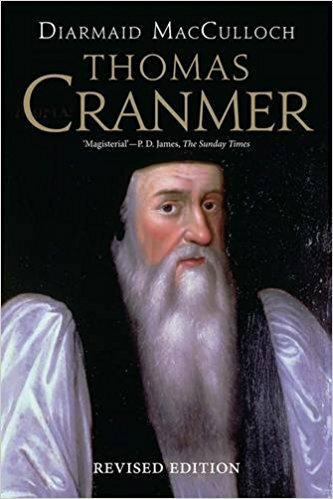 Thomas Cranmer: A Life, which won MacCulloch the 1996 Whitbread Biography Award, is one of his earlier works. This is a monumental biography of Cranmer, the Archbishop of Canterbury who put together the Book of Common Prayer and was deeply involved in shaping the course of the English Reformation. It’s easy for history to be written in ways that oversimplify the past, so I’m attracted to larger, more detailed works. I think it’s safe to say that 632 pages of prose should be enough to approach Cranmer’s life with nuance. Incidentally, this might be one of the only proper biographies I read this year, so I hope it’s a good one. Michael Ramsey’s The Anglican Spirit is a little introductory collection of lectures on the nature of Anglicanism from someone who served the Church as both a bishop and a scholar. Ramsey narrates the Church of England’s history, and he also talks about some of the more enduringly distinctive aspects of its theology and spirituality. This book has a very conversational feel, which makes sense given that it was delivered originally in lecture form. Actually, I may end up reading this before diving into MacCulloch’s more formidable works since it’s so short. 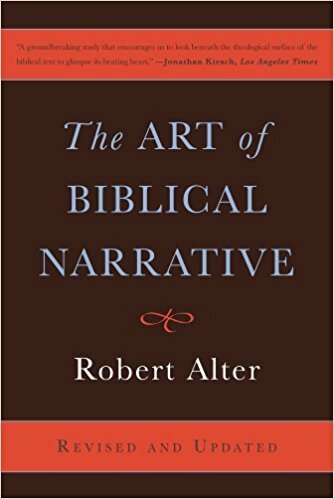 Robert Alter’s The Art of Biblical Narrative, originally published in the early 1980’s, helped bring about the literary turn in biblical hermeneutics that has risen to some degree of prominence since its origins in the 1970’s. In it, he seeks to show readers the value of approaching the biblical text as a piece of literary art. For Alter, taking a literary approach to the Bible means being sensitive “to the artful use of language, to the shifting play of ideas, conventions, tone, sound, imagery, syntax, narrative viewpoint, compositional units, and much else” (p.13). Learning to read Scripture well is a lifelong task, and it seems like Alter’s work has much to offer for those of us seeking to become better, more attentive, readers of biblical narrative. The Art of Biblical Poetry forms a companion volume of sorts to Alter’s The Art of Biblical Narrative. 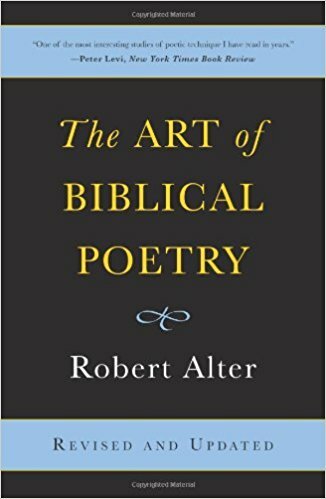 In this book, Alter shifts his gaze towards the rich world of poetry in the Hebrew Bible, exploring the texture of Hebrew poetry as its found in places like Job, Psalms, and parts of the prophetic literature. How Does a Poem Mean? is an introduction to poetry that I’ve been wanting to read for quite a long time now. I enjoy poetry, but I also feel slightly intimidated by it since I spend most of my time reading prose nonfiction. It appears that this work moves beyond talking about what poems mean to discusses how they mean, which entails the patient study of features like “diction, metaphor, rhythm, counterrhythm, and form” (p.xxii) I’ve gained the impression that many Christians (myself among them) would become better interpreters of Scripture if they became better readers of literature and poetry in general, since poetry, symbolism, and metaphor are all important dimensions of the biblical text. Walter Brueggemann is a distinguished theologian and Old Testament scholar. Ever since I read his dazzling Prophetic Imagination, I’ve been captured by his passion for preserving the untamed nature of the text and his joy in going about the task of doing theology. All of this has made him one of my favorite theological voices. 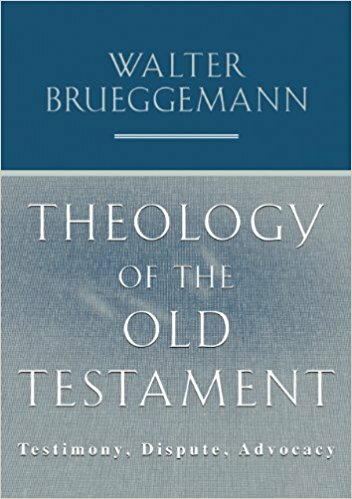 Brueggemann’s Theology of the Old Testament can probably be seen as one of his most significant works, coming in at over 700 pages. Theology of the Old Testament is a title I’ve been wanting to read for years, and this is the summer in which I hope to finally tackle it. 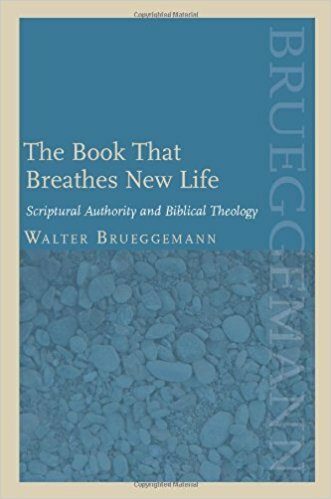 The Book That Breathes New Life is a collection of essays by Brueggemann about Old Testament theology, digging especially into how its rather open-ended and dialogical character influences discussions about Scripture’s authority. 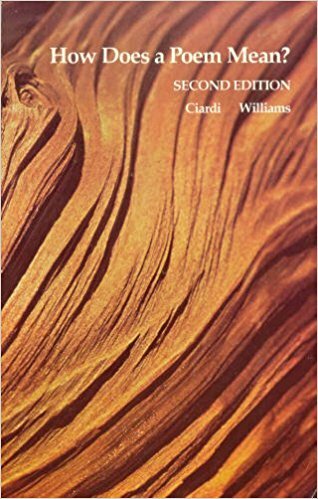 Since this was published after Theology of the Old Testament, Brueggemann engages with some of the varying scholarly responses to that larger work, most notably in conversation with Brevard Childs, the influential theologian who pioneered the canonical approach to the Old Testament. The kinds of topics addressed in these essays overlaps to a certain extent with Gary Anderson’s Christian Doctrine and the Old Testament, which I reviewed not too long ago, so it should be a happily thought-provoking read. And finally, there is The Word That Redescribes the World. In it, Brueggemann invites readers to reflect on how the Bible, as a lively, generative Word, invites Christians to embark on a path of discipleship, acquiring the imagination to cultivate daily practices of love and concern for the other in the midst of a society that often pressures people “toward an ethic of individualism that issues in social indifference and anti-neighborliness” (p.151). If this book is like all of the other Brueggemann works that I’ve read, thinking alongside him about the meaning of discipleship in response to the biblical text will be an experience that does not disappoint. 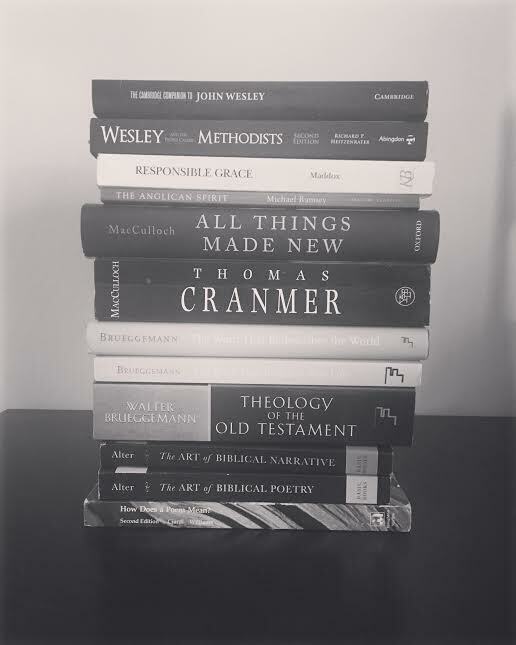 This entry was posted in Book Reviews and tagged Diarmaid MacCulloch, Jason E. Vickers, John Ciardi, John Wesley, Methodism, Michael Ramsey, Randy L. Maddox, Richard Heitzenrater, Robert Alter, Summer Reading Lists, theology, Walter Brueggemann by joecrow91. Bookmark the permalink.